Finally, the evil has landed! 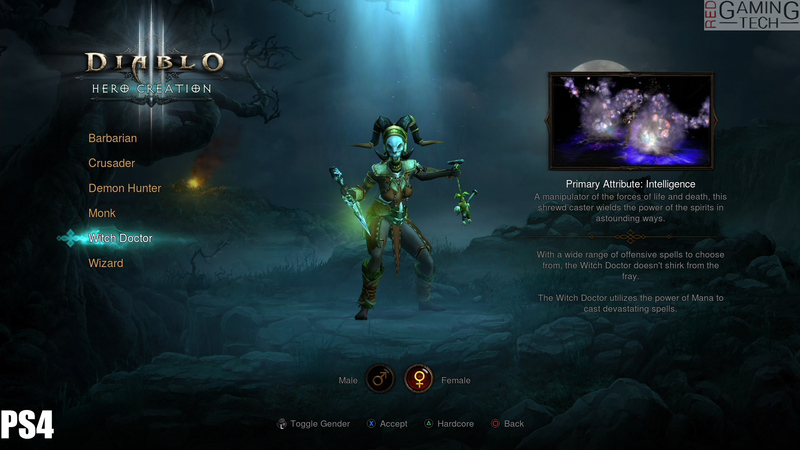 Diablo 3 Ultimate Evil Edition has hit both Sony’s Playstation 4 and Microsoft’s Xbox One, but the question must be asked – how do they compare to the tried and trusted PC version? The answer is really rather well actually. The good news, right off the bat is both the Playstation 4 and Xbox One versions both run at a full 1080P HD native resolution. We’d guessed from what Blizzard had been tell us for the past month or two that this would be the case, but it’s nice to actually have the final retail release in our hands and have the 1920×1080 native frame-buffer resolution confirmed. In a future article we’ll likely cover the Xbox One version, but in case you’re wondering, Microsoft’s machine is also native 1080P (with a patch). The frame rate is a little lower on the X1 however, and a few graphical assets appear to be slightly inferior compared to both the PC and PS4 iterations of D3, but we’ll test that more in the future. Before we can draw comparisons against the PC versions of Diablo 3, we need to firstly establish which graphical settings we’ll be pitting the PS4 against. Diablo 3 isn’t the most taxing game out there, and indeed Blizzard recommends an AMD Radeon HD 4870 GPU as a good starting point, along with an older dual core CPU. Honestly this is probably a little ‘lite’ if you’re looking for the full 1080P 60FPS Diablo 3 experience, but virtually any medium range GPU will run Diablo 3 at a solid 60FPS and you’ll have sufficient power left to turn on Anisotropic Filtering and force Anti-Aliasing. 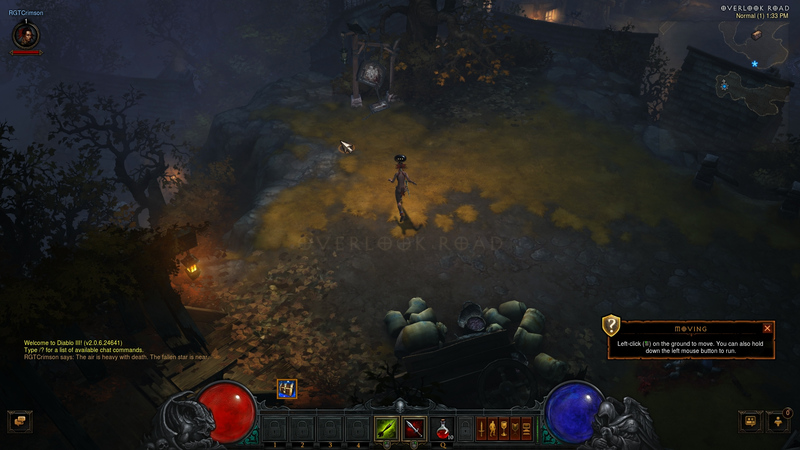 For this in mind we’ve decided to test Diablo 3 by using the built in Anti-Aliasing that’s available on the PC. This means that including the built in Full Screen Anti-Aliasing. the Texture quality, physics, and clutter density were all set to their highest, and Reflects ticked. For the Shadow Quality we opted to select High (Smooth) to enjoy a softer transition in the shadows. 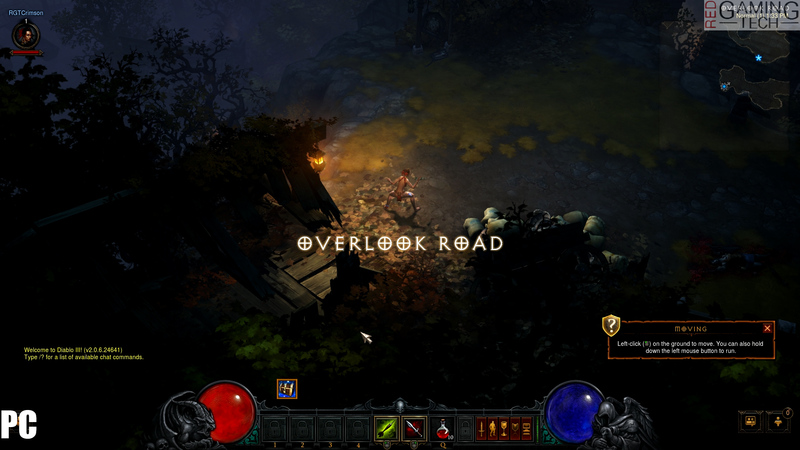 After all, Diablo 3 is not exactly a bright and sunny title at the best of times. If you so wish you can easily go in to your Graphic Cards control panel and pump up the Anti-Aliasing by using something like MSAA. While we were tempted to compare the PS4 to both sets of PC graphical settings initially we decided against it last minute. It’d be extremely unfair to the Playstation 4, as it doesn’t have the ability to turn up the AA. Just bare in mind that if you do play the PC version, unless you’ve a very old GPU there’s little to stop you pumping up the Anti-Aliasing. 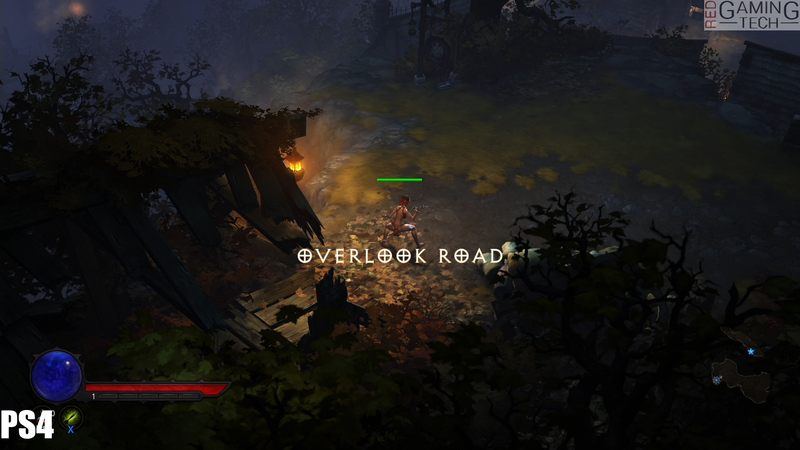 Diablo 3 Ultimate Evil Edition on the Playstation 4 stacks up extremely well in comparison to the PC. As we’ve highlighted, the image is a native 1920×1080 – and using some type of post process Anti-Aliasing. It’s not quite perfect – as is typical with the likes of FXAA or TXAA sometimes sections of the screen still have the odd ‘jaggie’ left, and it can also provide a softer than intended look to the edges of the detail. With that said, it’s certainly not horrible, and I’d argue it does a better job of AA overall than say The Last of Us, which at times had decidedly dicey AA coverage. The PS4 D3 assets look very much on par with the PC, with texture quality similar high between both versions. Indeed, it’s hard to point to any specific area of the game and say “well, you can tell Blizzard cut corners here” to maintain frame rate. Shadow Quality, which usually is the first thing to go, either by using a less complicated shadowing technique, or by lowering the resolution of shadows (a fairly common practice is to cut the Shadow Quality by 50 percent) hasn’t occurred here. As far as we can tell, the shadows look, behave and react identical to the PC version of our PC test settings. Clearly the PC version does have the edge if you wish to game on say a 1440P or higher monitor, and the additional resolution is certainly welcome. And as we’ve discussed, using higher levels of Anti-Aliasing is certainly a viable option to make the game look sharper. 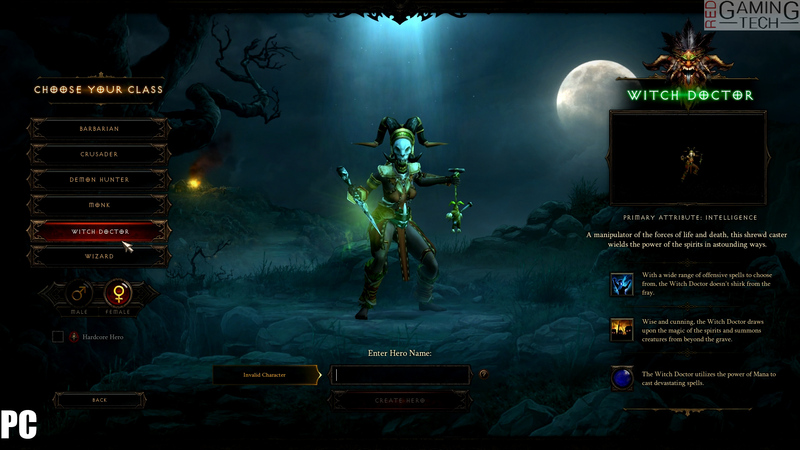 There is some color differences between the two versions of Diablo 3, despite us having all of the gamma / contrast and color settings at default. Truthfully some of this is just ‘business as usual’. If you’re a PC gamer you’ll know that AMD and Nvidia cards have slight gamma differences, and I feel some of this is echoed here. With all of this said, while the PC version of titles normally scores a clear win over both next generation consoles, with Diablo Ultimate Evil edition this isn’t necessarily the case. Animation is just as crisp and pretty as it is on the PC too, so that’s another box ticked. One area which might initially throw you off is the different Field of View between the PS4 and the PC versions of DIablo 3. It’s pretty odd at times, particularly if you’re quickly switching between both versions. Some areas can look a little different because of this alone. This is likely done because of the local multiplayer aspect of the console versions of Diablo. While it’s not a bad thing, on a personal level I prefer the original PC FoV and the console version does feel a little ‘tigher’ to the action as a result. The tighter Field of View can feel a little restrictive if you’re in the middle of a lot of enemies. A narrower Field of View (FOV) isn’t particularly new for console games, but is generally reserved for FPS titles. Think of a smaller FOV as simply being zoomed in. In the case of Diablo 3, it’s likely a way to reduce the GPU and CPU load when there’s a lot of effects happening on screen at once. Certain classes and enemies can stack dozens of different units on screen, and clearly Blizzard felt this would negatively impact the frame rate. It’s also possible that since many gamer’s are planning on playing this from their couch, Blizzard felt it better to be ‘closer to the action’. If you need a more in-depth explanation then feel free to check out our Field of View demo video, that’ll give you a great example of how Field of View works in games. Okay – I’ll admit it. I was a little biased against Diablo 3 on consoles when I’d first heard news of the port. It wasn’t due to graphics, doubts on frame rates or because I yelled “nooo, it’s a PC exclusive”, instead the doubts centered firmly over the controls and menu. As it turns out, the doubts were very much unfounded and it plays pretty damn well on controller. Truthfully speaking, it feels rather satisfying to stab your finger on the skill button on the controller. To use the Playstation 4 as a reference for a moment, skills are assigned to a button on the controller (say ‘X’) and you press them to activate the skill. Using Left stick moves your character around, while the right will perform a dodge. I have to say dodging on the PC good and satisfying, but the PS4 version is perhaps slightly easier. With that said, certain skills feel a little trickier to aim, AOE effects in particular. In our testing we’d noticed it felt a little more awkward to use say the Witch Doctors grasp hands than it did on the PC thanks to the PC’s ‘arrow cursor’ aiming. 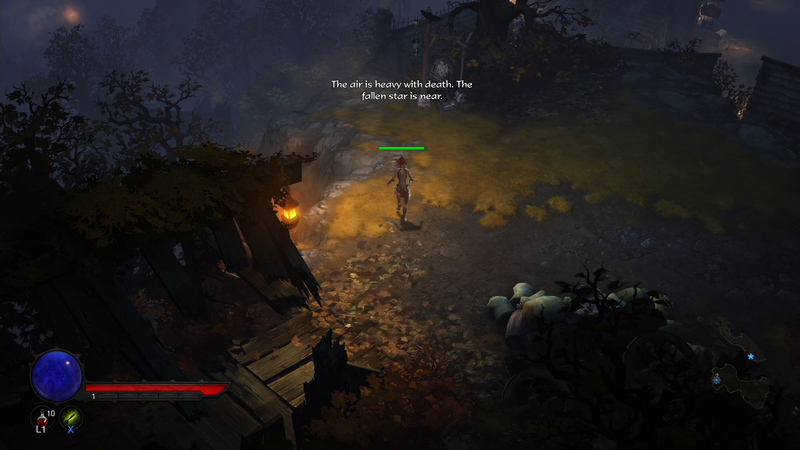 That’s not to say that it was hard on the Playstation 4, but Diablo 3 does benefit some from the additional precision. The menu system is activate by the press of a button (in the PS4’s case, you use the touch pad to bring it up) and then you select items using the D-Pad and buttons. Personally I feel that the menu, inventory and so aren’t quite up to par with the usability of the PC version – but Blizzard have done a good job. Personally, while I still feel that the PC version has a nicer ‘feel’ to it when it comes to clicking an area of the ground, or using the mouse to guide your character – the PC version isn’t leaps and bounds over the consoles. In our tests regarding the local co-op, despite causing as much destruction as possible the game still felt very smooth and extremely satisfying. If you’re yet to pick up Ultimate Evil Edition due to concerns over frame rate, graphical quality or even just the controls your fears can be put to rest. Diablo 3 runs great on console, and you’ll be happy with your purchase. If you’re toying between buying Diablo 3 for the PC or console, or perhaps you already own the PC version and wondering if you should also buy its console iteration too, I’d say the PC version is still slightly superior because of the controls, better Anti-Aliasing, slightly faster loading times and it being slightly cheaper. But with all of that said, there are other factors – multiple players on the same console is certainly a huge bonus for the PS4. It’s a pity local co-op hasn’t been patched into the PC, as it’d be very easy to add controller support for one or more players while the other uses keyboard. As it stands, this isn’t the case. If you’ve a friend who wants to play Diablo 3 with you, even if just purely for the story then this is an excellent way to play the game. As fun as online play is, sometimes local play is just that much better. Diablo 3 isn’t the most taxing of PC games, hence how it’s remained graphically intact in its console transition, but let’s be honest here, the lower hardware requirements have also bolstered its PC popularity too. Diablo 3 Ultimate Evil Edition is a lot of fun no matter the platform you choose to play it on, and you’ll not be making a bad purchase in either the case the PC or Playstation 4 version of the title. If you’re planning on picking up Diablo 3, we’d super appreciate if you use one of the Amazon links below so we can get a few pennies towards helping us pay for the website.